Rustic Modern: Transforming a mismatched kitchen into a chef's dream. Molly, a trained chef reached out to me with a request for a gourmet kitchen. She approached me with a notebook full of inspiration images, and an idea she described as "Hill Country Modern". I thought "what is Hill Country Modern, and more importantly, what does it mean to her?". The exterior of the home is a combination of Austin Stone, cedar, and brick, and I knew I wanted that to translate to the interior as well. After: I extended some of the cabinets to the ceiling to create a variation of scale. The ceilings were tall and the space was long, so it was important to break up the space and give Molly more storage. There is a 25 county region in Central & South Texas lovingly known as the Texas Hill Country. It is characterized by an arid climate, rugged terrain and native vegetation, and it's from these rustic elements that I drew my inspiration. I infused rustic and refined materials to deliver an aesthetic that is both rustic and modern. Before: Awkward angles made the space feel disjointed, and disconnected the chef from her guests in the adjacent living and dining rooms. I was able to refinish the original range hood. I opened up the space and installed a large Subzero refrigerator on the other side of the kitchen so that all of the space could be utilized. I incorperated a café door on the left side of the kitchen to conceal the utility area. Before: Multi-level bars and counters sounded like a great idea to everyone in the early 2000's. I will never know why. After: We opted for an expansive 5'x8' island complete with a fireclay farm sink, sonic ice maker, dishwasher, and a hibachi grill. Brazilian Quartzite, teppanyaki grill, touch activated faucet and soap pump. Would you recommend your experience with Morrissey to your family and friends? Molly: I would HIGHLY recommend MHS to everyone I know! In this day and age where cares regarding personalization, fine detail, quality craftsmanship, client service, client time, client inconvenience, and client satisfaction are almost extinct in home remodeling companies, MHS is 2nd to none! What are the elements that set your newly remodeled kitchen apart from others? Molly: The intricate designer details set it apart from other kitchens; i.e. the expanded design, Brazilian quartzite, and the Subzero/Wolf appliances to name a few. I give credit to my designer Shayne for taking my style mixed with his expertise/direction and transforming/combining each and every element into a true designer dream kitchen. How was your remodeling experience with us different from other contracting groups you have worked with in the past? Molly: There are many factors that make MHS so different from the others I've worked with in the past. 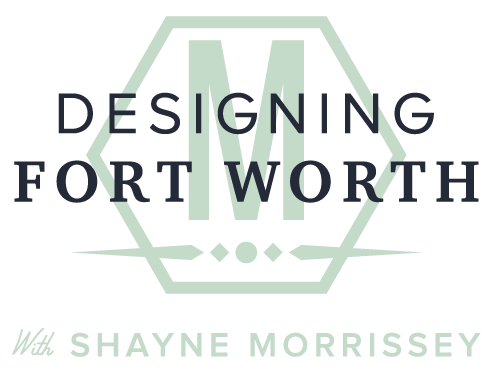 One being, I hired Shayne Morrissey as my interior designer to help me with designing my dream kitchen at home. I had researched and interviewed different designers in the DFW area and when I met him, his personality, genuine approach to learn my style, lifestyle, and special interests to make my "must haves" work, were the reasons I chose him leading to also why I chose MHS for remodeling. I am a chef that wanted and needed a much larger, better home kitchen with more counter space, and professional appliances but modernized in a warm way. Shayne helped me do just that and organized the remodeling process to where it took only 6 weeks to complete. It was done in such a timely manner. 1)They respected my home and property by cleaning up daily when they were done as if they weren't even there. They even checked for nails in the driveway and swept it. 2) Their subcontractors were professional and showed up consistently on time and in order of need. 3) MHS has a reputation that exceeded my expectations because the subs were happy and enjoyed showing up to work for them, knowing they would be paid on time, and feeling honored they were chosen to work for them. They trust MHS and want to make them proud in their skill, which makes us proud of their beautiful craftsmanship. Streamlined for function and style, hydraulic controlled window to allow serving access to the patio.